Diagnose Supply Chain Planning projects, initiatives, organizations, businesses and processes using accepted diagnostic standards and practices. Integrate recent advances in Supply Chain Planning and process design strategies into practice according to best practice guidelines. * How can skill-level changes improve Supply Chain Planning? * How do you use Supply Chain Planning data and information to support organizational decision making and innovation? 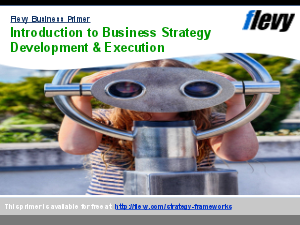 * How are the Supply Chain Planning's objectives aligned to the organization's overall business strategy? * What other areas of the organization might benefit from the Supply Chain Planning team's improvements, knowledge, and learning? * What sources do you use to gather information for a Supply Chain Planning study? * How to Secure Supply Chain Planning? * How do you assess your Supply Chain Planning workforce capability and capacity needs, including skills, competencies, and staffing levels? Why Own The Supply Chain Planning Self-Assessment? All the tools you need to an in-depth Supply Chain Planning Self-Assessment. The Self Assessment tool is a comprehensive dashboard built in MS Excel. It ensures you don't miss anything with 767 criteria in 7 RDMAICS (Recognize, Define, Measure, Analyze, Improve, Control and Sustain) steps with easy and quick navigating and answering for 1-10 participants. The above preview showcases an example of a completed version. The secondary document includes a blank template, as well as a detailed 140 page PDF guide. The guide provides a convenient way to distribute and share among the participants to prepare and discuss the Self Assessment. Excel workbook. This model can be used to evaluate two different supply chain programs to determine which is better from a working capital and ROIC perspective. Supply Chain Analysis? Bain Presentations? Channel Distribution Strategy Example? Or something else.